Full Description: Mmm, mmm, mmm. 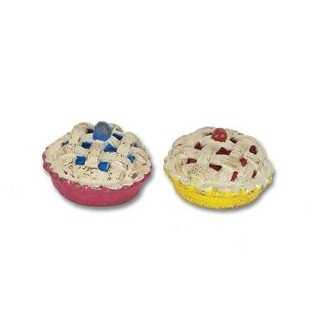 These hand-painted mini pies look good enough to eat! Set of 2 assorted.